When bride Andria met her handsome groom Ilya after a Tinder date that almost didn’t happen, she was so taken with him that she still remembers everything he wore on that ultimately fateful day. Hey, when you know, you know, right? 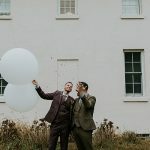 Despite being one of the most laid back brides to ever grace the Smashing pages, Andria’s gorgeous backyard wedding is full of beautiful, natural and rustic details captured wonderfully by photographers Zeefoto. 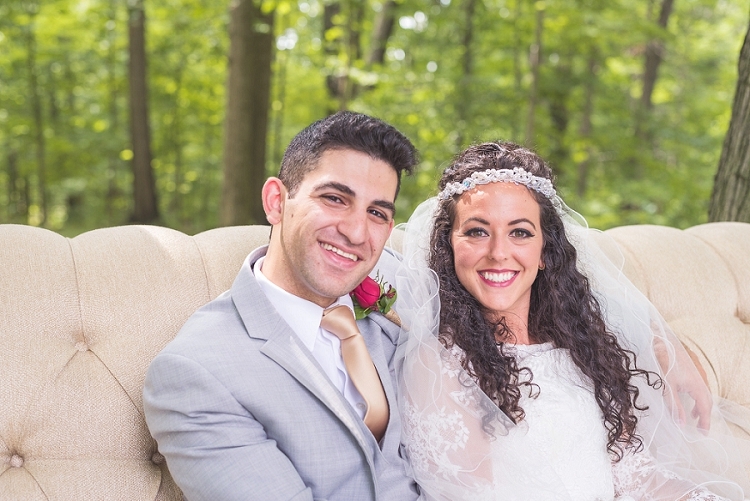 The couple married in Andria’s parents’ backyard and stuck to a rustic vintage theme. 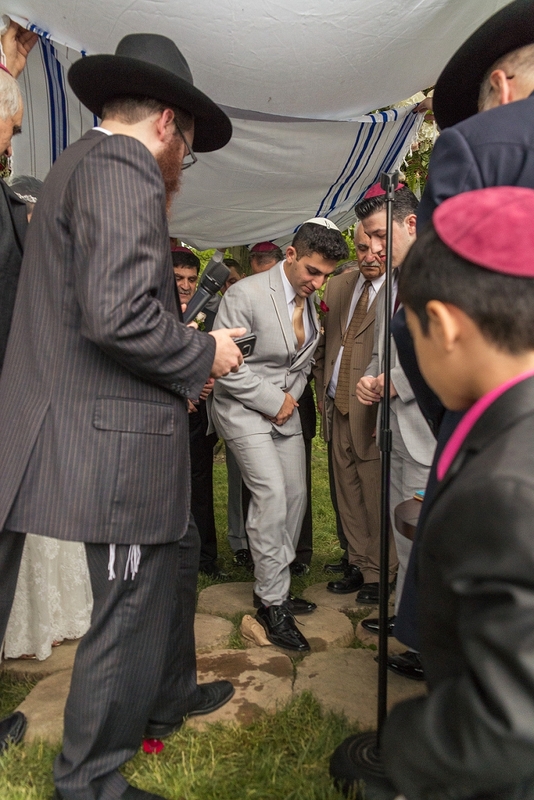 With just three months between the engagement and the wedding, the family went all out, re-doing the entire lawn and planting new flowers, even bringing in sandstone for that Israeli-meets-magical-woodland feel. 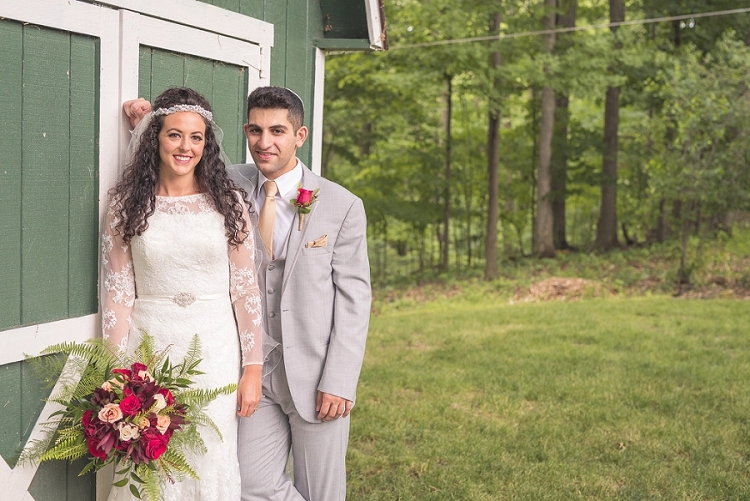 At Smashing the Glass, we love it when a wedding includes rare aspects of Jewish culture. The groom, Ilya, is Bukharian. For those who don’t know, Bukhari Jews are originally from central Asia and speak a rare dialect of the Tajik-Persian language. 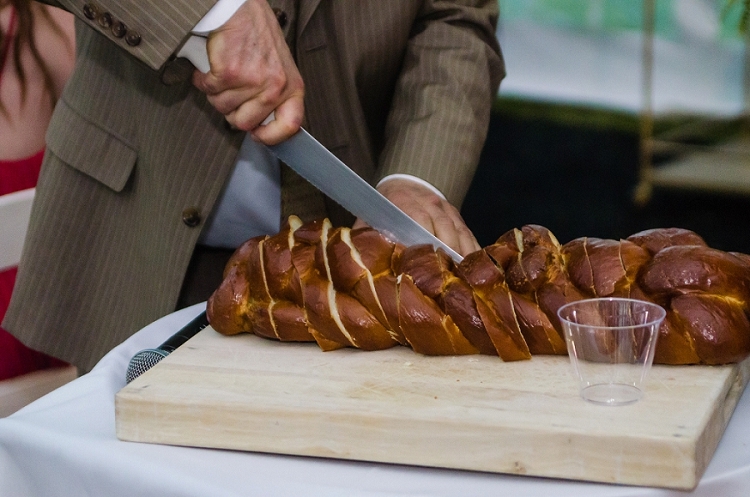 The result of two Jewish cultures fusing is always awesome, and the little touches — the Bukharian band and the eight-course meal (yes, you read that correctly — what would a Jewish wedding be without an extraordinary amount of food?) really made this wedding something special. 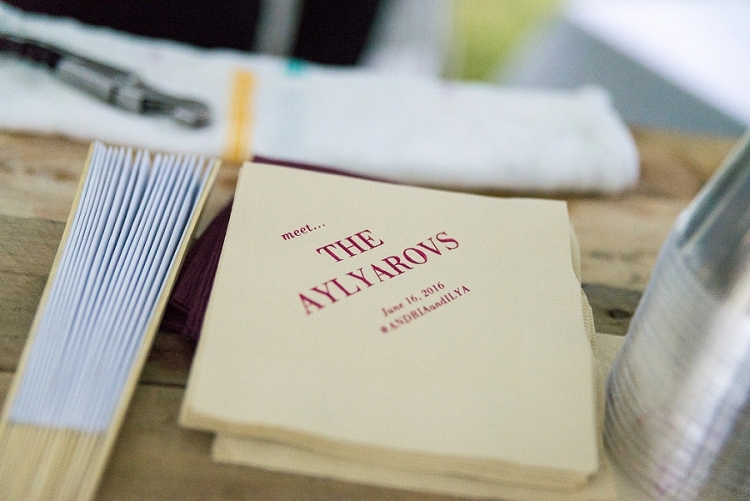 It’s worth mentioning that the couple insisted on having vodka on the tables — we admire their spirit (sorry, sorry…)! Perhaps the loveliest detail of all was Andria’s chilled-out attitude. 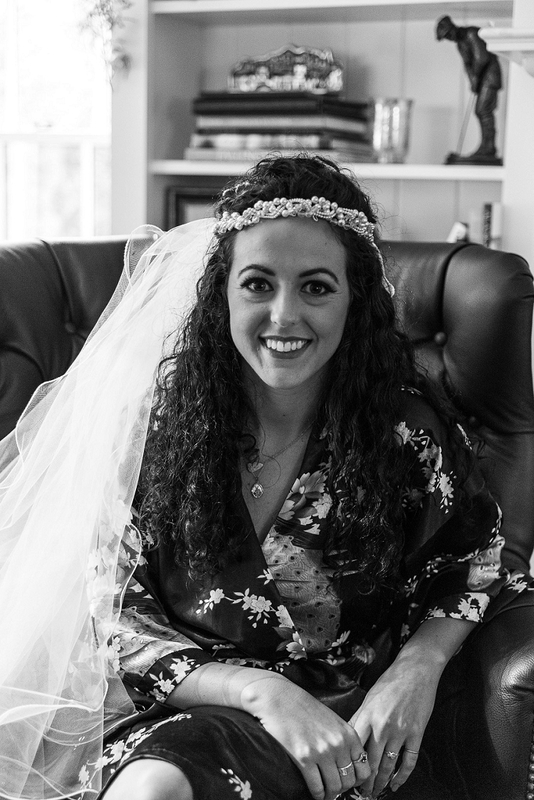 From absolutely embracing her Jewfro (high five all the Jewfros out there) to wearing her wonderful mother’s veil and a precious symbolism-laiden family heirloom as jewellery, Andria’s approach was all heart, no fuss. Just you wait until you read Andria’s moving words about her mother (here, have a tissue — you’ll need it). 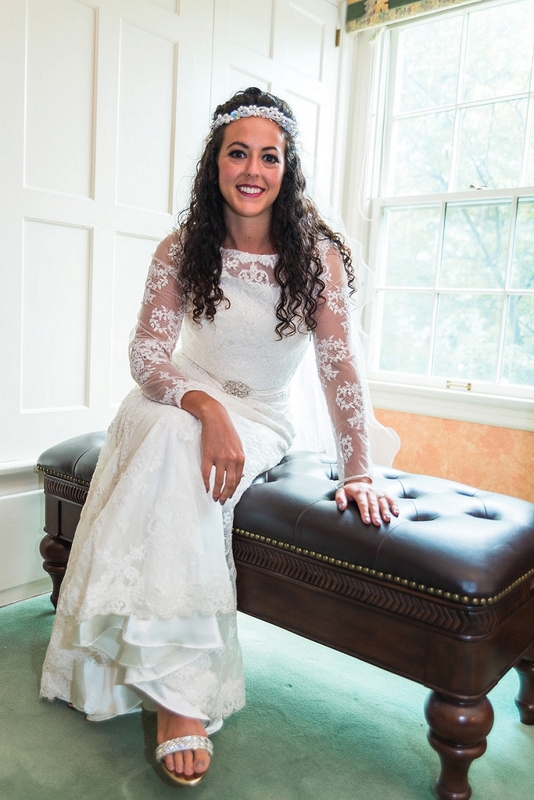 Andria, the bride: Ahhhh, those were the days. So, Ilya and I matched on Tinder except he never said anything to me for six months. He then saw me numerous times out but none of my friends would give him my number since they said I was moving. Then three months before I was leaving to make Aliyah (the process of diaspora Jews moving to Israel) I got a random phone call on October 20 at 5:38 PM from this boy named Ilya. We went on our first date a week later. Ilya was wearing Timberlands, jeans, a grey Cleveland Browns t-shirt (we were watching the game), a red flannel, puffy vest and a black scarf. I told him 15 minutes into the date that if he either of us didn’t vibe with one another we shouldn’t waste our time. We sat at the pub for four and a half hours. I knew the second I saw him he was the one. I still, to this day, get butterflies sometimes. He’s so special and I’m grateful every day to be his wife. Ilya and I tied the knot in my parents’ backyard. 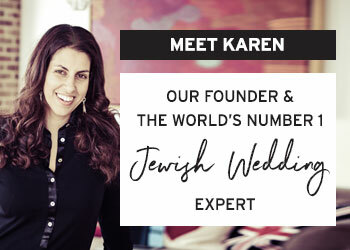 We wanted a place that represented our personalities and which felt Israeli (a country which we both adore). I think most of the “venue” ideas came from our current situation. We had just spent 10 days in Israel and were sitting in an AirBnB in Athens, Greece and just were like, we’re getting married… outside! 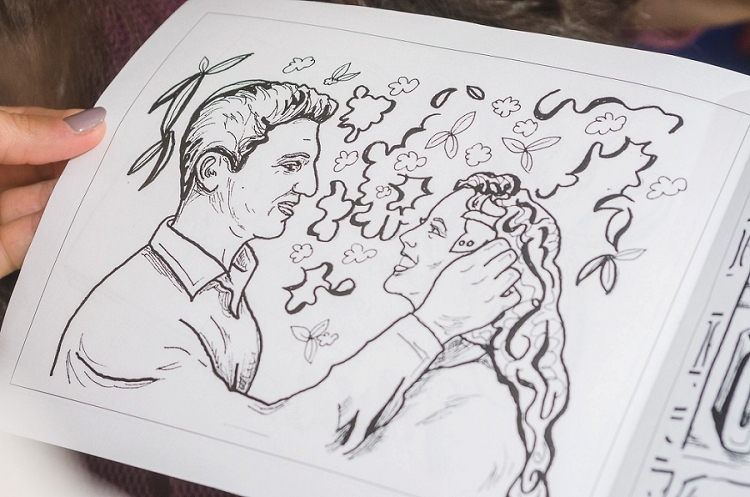 Besides that though, as a little girl, I never cared about the dress or the flowers, I just wanted to get married in the forest, and, as an adult, to Ilya. 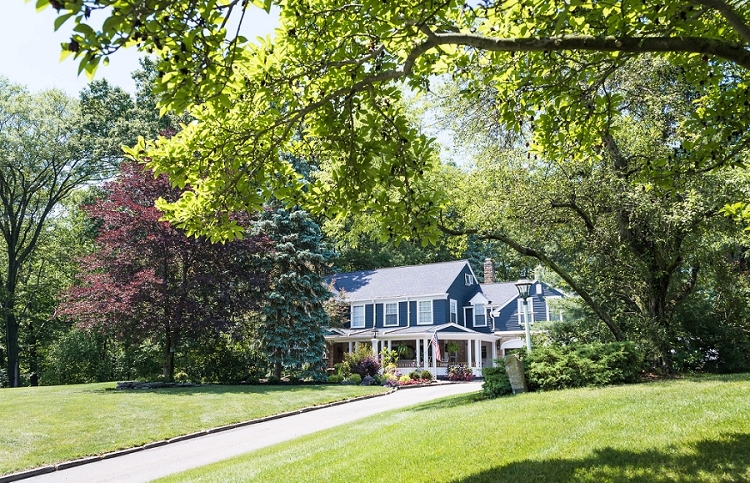 My parents home is magical to me and all I wanted was a magical day. Ilya and I both love old things. He is huge on thrifting and 70% of my wardrobe is my Grandma Gilda’s. So, we just went with a rustic vintage theme. There really wasn’t a discussion we just went with it. When you get engaged and married in three months, there isn’t much planning. My mum was awesome and has a great rustic style, so we let her make a lot of decisions. 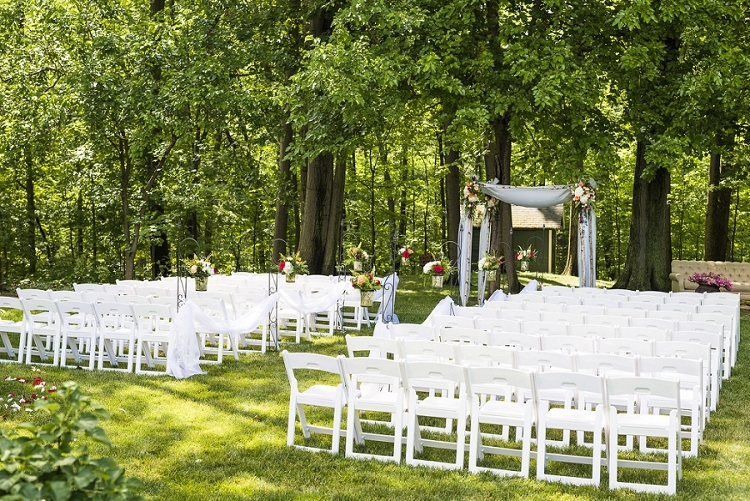 We had the ceremony underneath the trees, set back in the woods. 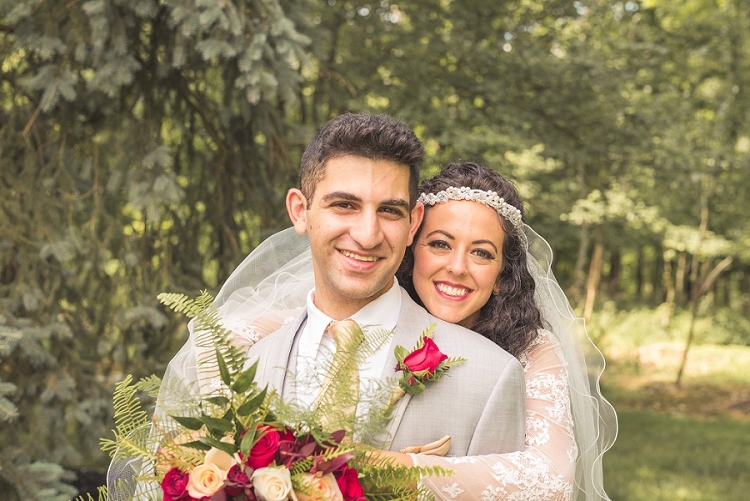 The chuppah was made of real birch wood accompanied by roses and ferns (I love ferns, they remind me of my hair and deep red is my absolute favorite colour, Ilya loves my super duper red lipstick too). My dad and brothers redid the entire lawn for the wedding, new plants and all. We wanted to feel like we were in a garden. 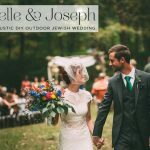 We had sandstone put out and bright bright flowers which remind us of walking through Israel and in Jaffa especially, that’s where we had our engagement photos taken (by Fabiana Kocubey). 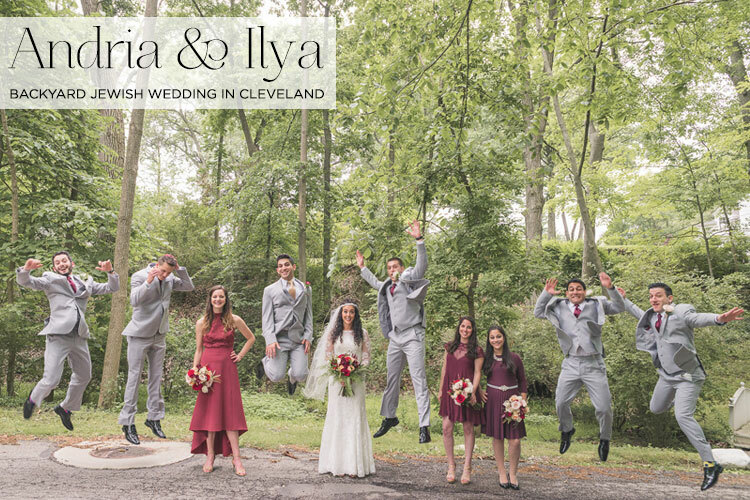 The wedding was very outdoorsy, but had a few unique touches as Ilya is Bukharian. 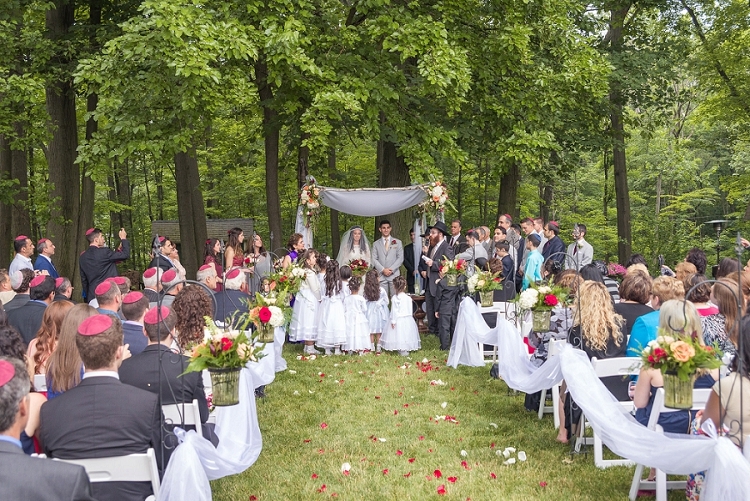 We did the American-style wedding outside but had a Bukharian band and instead of the rehearsed ‘here comes the bride’ gig, the band announced family members and they boogied down the grass aisle. 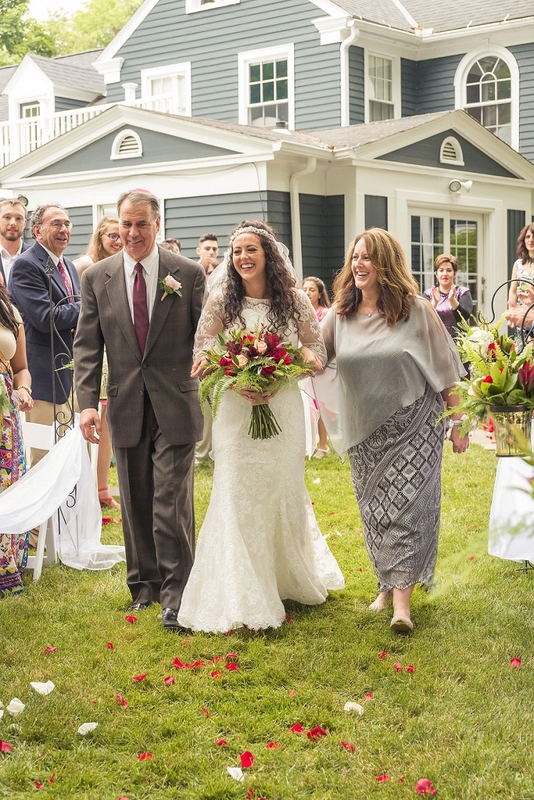 Everyone from his family stood right around the chuppah and we let the 20-or-so kids run wild the entire time! We also served Bukharian-style food and drink , which was awesome. We had an eight-course meal that was served endlessly throughout the night and people danced when they felt like dancing and ate when they felt like it. There was no ‘okay everyone sit down for this course and now stand for the dance’. We’re very ‘go with the flow’ and we wanted everyone to just let loose. We didn’t even use the bar in the traditional way. 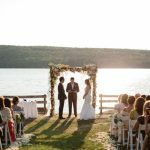 We served white sangria and hors d’oeuvres before the chuppah ceremony and then had bottles of vodka and cognac on the tables during the reception. 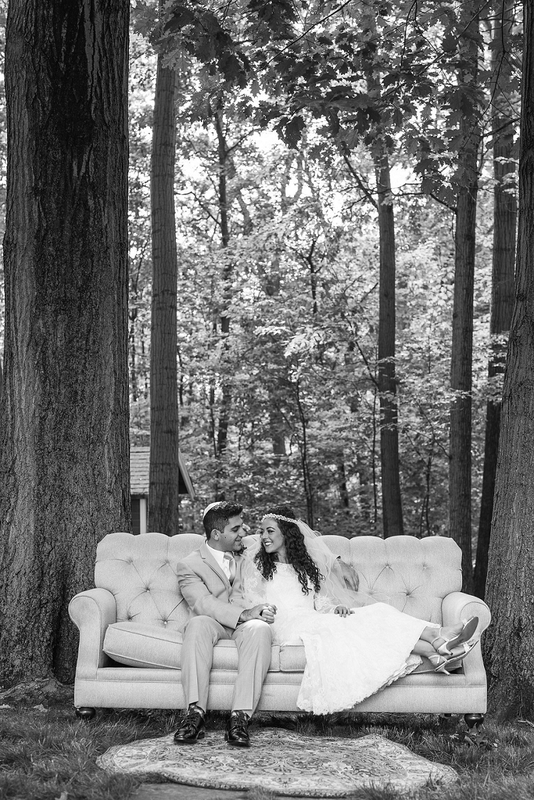 Other touches included a vintage wooden bar from Borrowed Rentals and we’re fortunate enough that my parents have a furniture store so we put a modern/Victorian-style sofa in the woods for family photos. 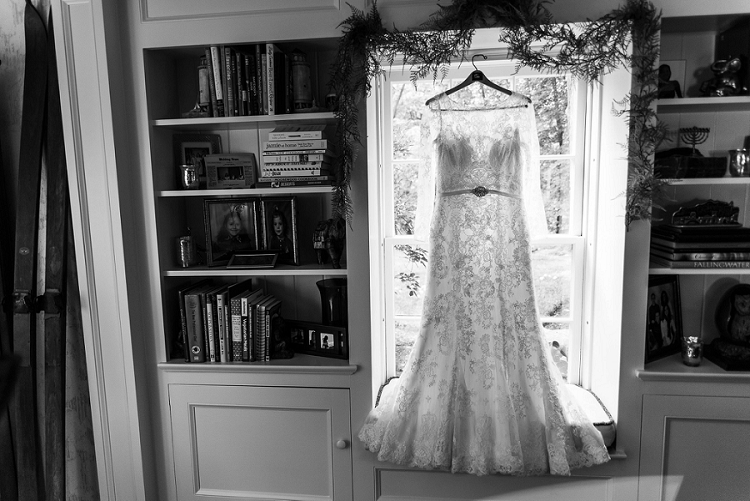 It played on the rustic vibe with a little bit of elegance. I’m just kidding. I wanted Karadashian style family photos. By far the most unique aspect was the blending of cultures. 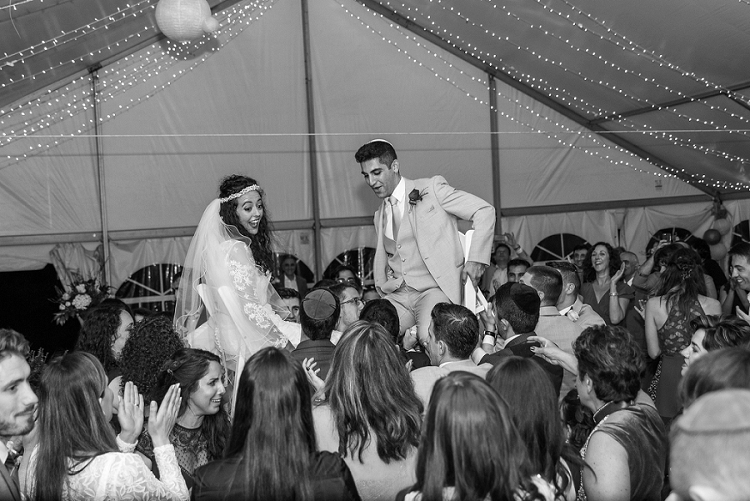 My family had no idea how to dance Bukharian and his family had never even heard of outdoor weddings. The band made it, though, playing Russian/Sephardi/Mizrachi music all night and keeping everybody on the dancefloor. 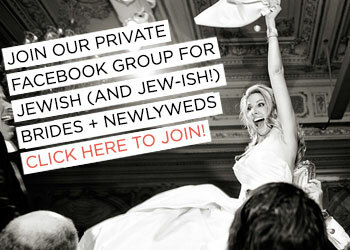 I think it was 11:00 PM in Israel and we were like ‘let’s get invitations’. Then we Googled ‘wedding invitations’ and picked the first ones we saw that had roses and looked somewhat vintage chic. Nothing special at all. I have a Jewfro that I’m super proud of. I don’t even have a hair person, I usually cut my own. However, for the wedding everyone said I couldn’t do my own hair, so my best friend and one of my bridemaids let me borrow her girl, Megan from FunkÄ“ Hair Body Soul in Beachwood for the day. I rocked a half pony nestled in a bun for my wedding with my natural curls (for which I owe a huge thanks to DevaCurl products for always making my fro look poppin’). I wish I remembered, but I didn’t have an ‘it was the one’ moment at all. I actually thought it was super awkward trying on a dress that costs so much money when I would only wear it for a few hours. True story, my mum called me at 8:30 in the morning one day and said ‘I know where to get your dress, meet me at Catan’s Bridal.’ Then boom, three hours later I put on a long-sleeved lace dress and we were done. There is one thing I cared about when it came to the accessories. My parents have a beautiful marriage and friendship and I want that so badly for me and Ilya. I wanted to wear something of my mum’s, so we pulled her dress out of the attic and she has a beautiful veil. So, I wore that. I didn’t even take it off until Ilya and I were in our hotel room that night. I love the veil – I wish I could still wear it! I didn’t buy jewellery for my wedding. I wear a pendant around my neck that is Moses holding the 10 commandments on one side and the shema on the other. It was my great grandmother Regina’s who gave it to my Grandma Gilda who gave it to me years ago. I haven’t taken it off since. It helps me remember our purpose on this earth and to always be good to others and to ourselves. I also wore a necklace that Ilya had made for me for our first anniversary. It’s a TAP by Todd Pownell necklace (he also made my wedding ring) that says “ani ohevet” (in Hebrew, translates to My Love). I haven’t take this off either. My earrings I have had in for like a year. I bought them at one of the gold filled stores on Sheinken street, near Shuk Ha’Carmel when I was living in Israel. As long as it’s gold and old looking – I’m wearing it. 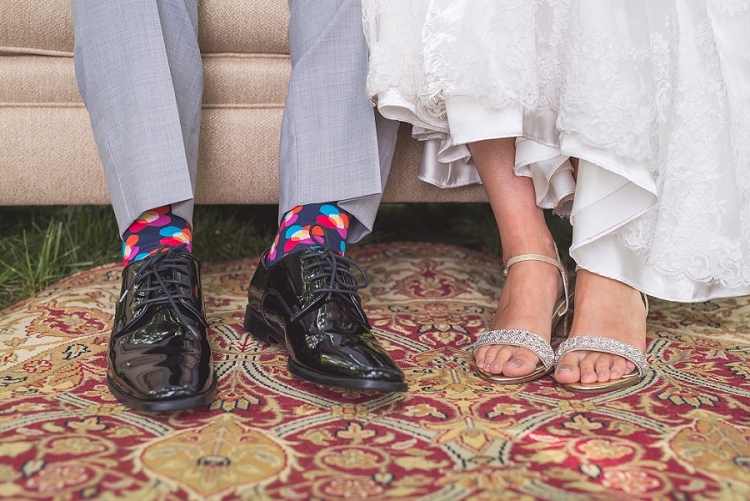 Do people really notice the shoes at your wedding? I would have preferred to go barefoot. We got my shoes on clearance at Catan’s Bridal. They were barely a heel, but covered in bling and, of course, gold. 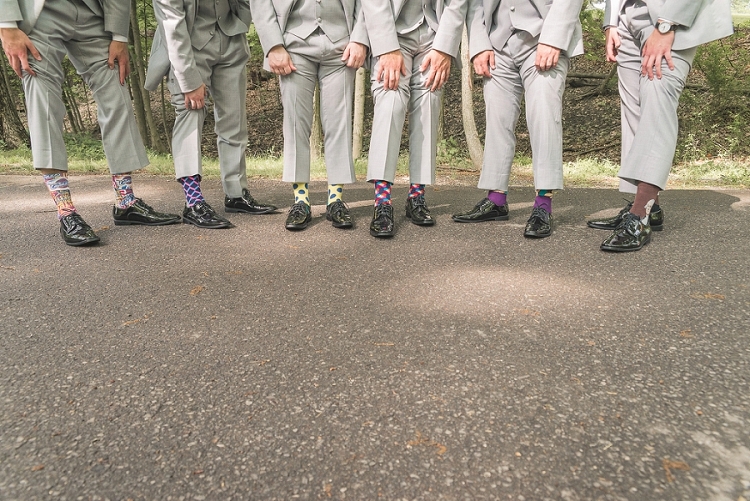 Ilya wore a grey suit, black shoes and all the boys wore funky socks, thanks to my goofball brothers. They rented the suits from Men’s Warehouse. Ilya reminded me of one of the guys who would have been at a Great Gatsby party. 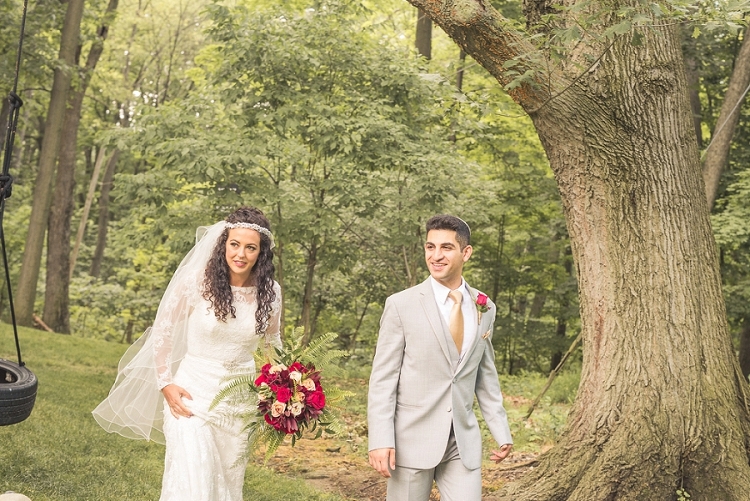 The suits complemented the greenery at the wedding so well. 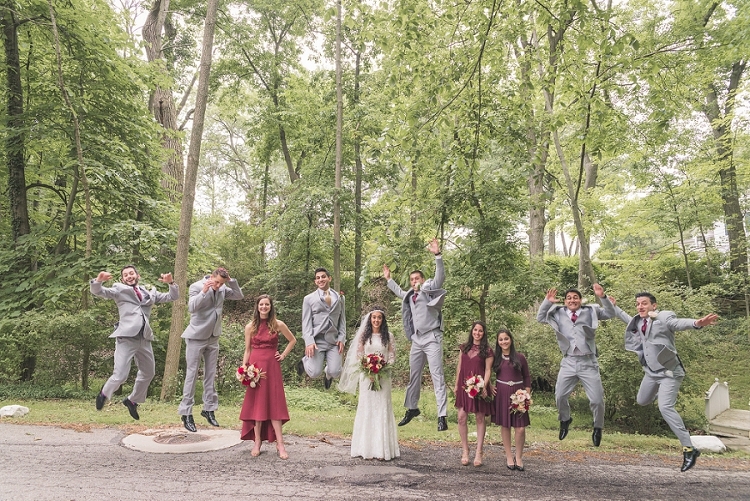 I let the bridesmaids choose what they wore as long as it was in a shade of merlot. I wanted them to all let their personalities shine through. I think it’s really tacky when all of the bridesmaids look exactly the same. What if one colour or style of dress doesn’t work on someone? I let them have their fun and spend what worked for their budget. I know two of the dresses came from Urban Outfitters and one came from ASOS. 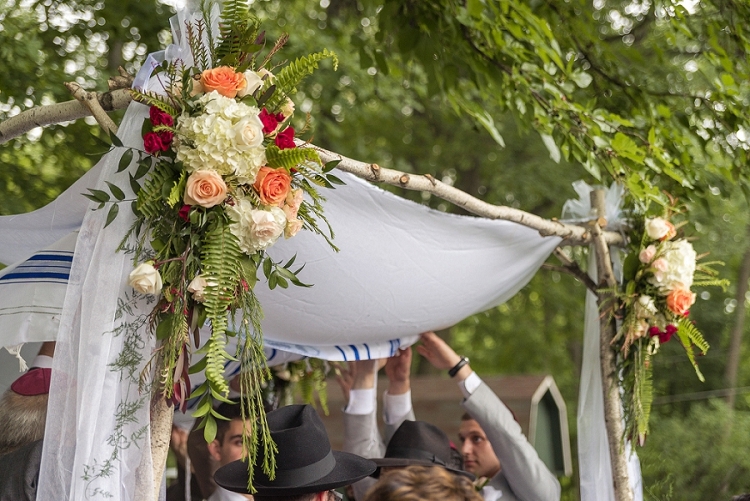 We just wanted a rustic chuppah, so that’s what we told our florist, Off Broadway Floral. 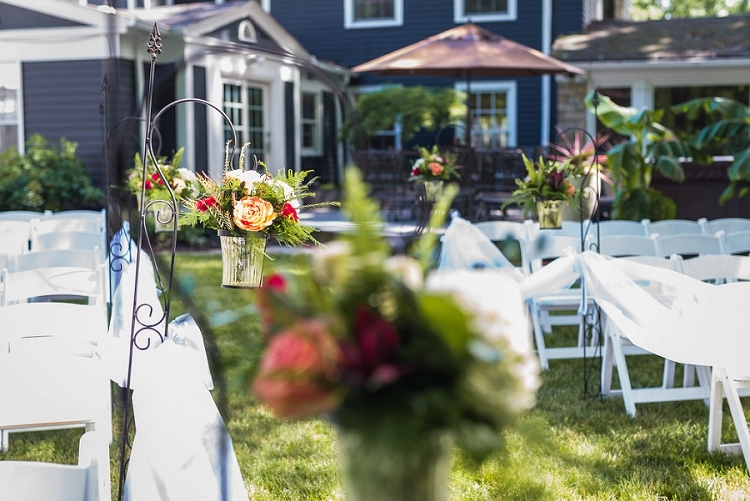 We both knew we wanted an outdoor feel and we just put a lot of trust into all of the vendors. We didn’t have much time to fuss over details. 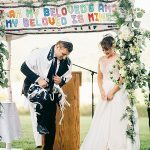 I think doing the chuppah Bukharian style made it special – or at least hilarious. We had all of my husband’s family standing right by us and nine flower girls running around the whole time. It made the atmosphere so vibrant. Little kids are awesome and they make people smile. 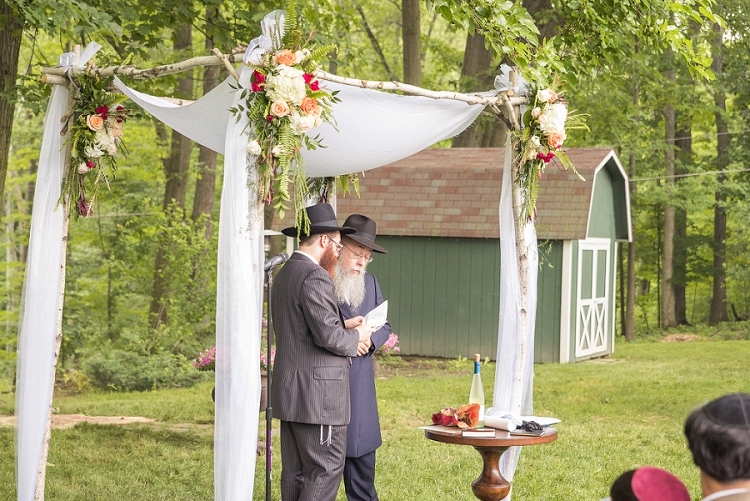 If you’re looking at pictures of the ceremony, you’ll notice Bukharians do two chuppahs. 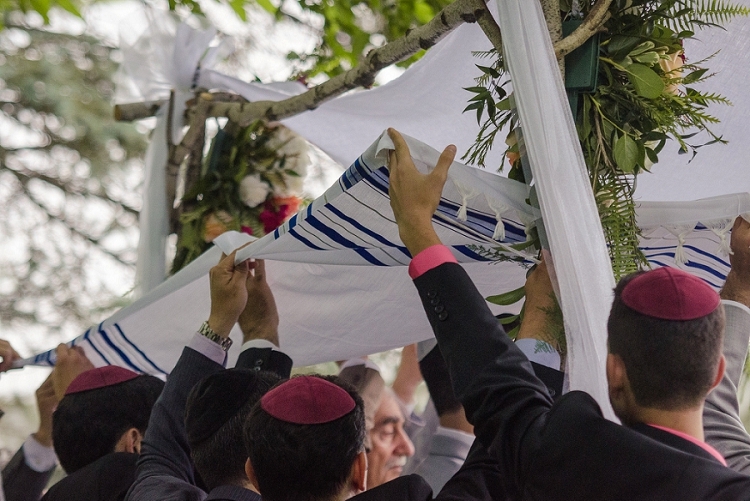 We had a tallit on the birchwood and then all of the men held a second one. It has been a crazy year for me and Ilya. 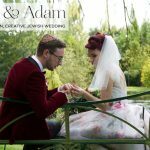 I went through an Orthodox conversion so we could be wed by a chabad rabbi. 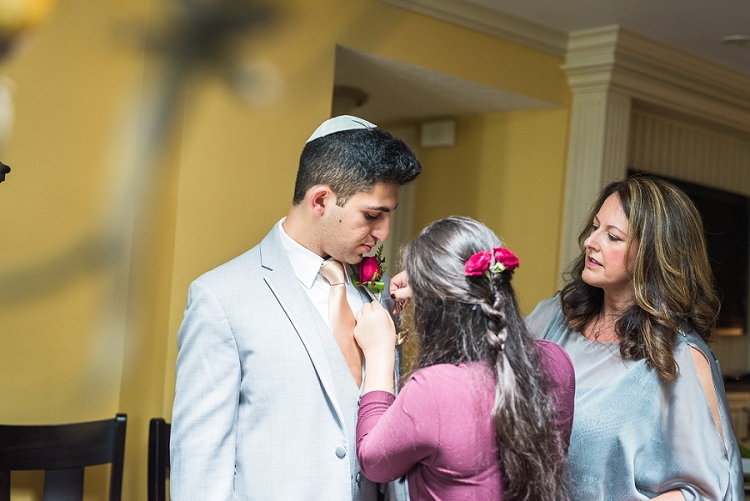 My mum had a conversion and became Jewish but everyone is entitled to their own opinion of what being Jewish means to them, so to make sure everything was 100% on each side, I went through an Orthodox conversion. However, after all of the meshugas we went through this year the biggest Smashing the Glass moment was when Ilya smashed the glass. We didn’t care about anything, we just wanted to be in love without question. I so badly wanted to be his wife, his partner and I wanted my best friend there by my side forever. We wanted the politics of religion out the door and to just be in love, which is what we have today. I think the next best thing was my mum. We just sprung a wedding on her and she did everything she could to make it special, and she stood right by my side the entire ceremony. I owe her everything. She always makes my dreams come true. She’s a really special woman. We choose roses nestled with pieces of wood and ferns. 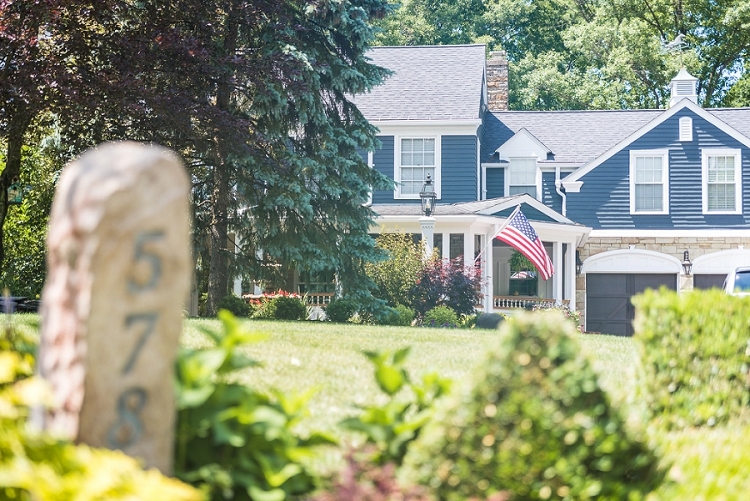 We wanted the deep red to pop on the green and wanted them to be super natural, like almost something you’d just stumble upon growing in a forest. 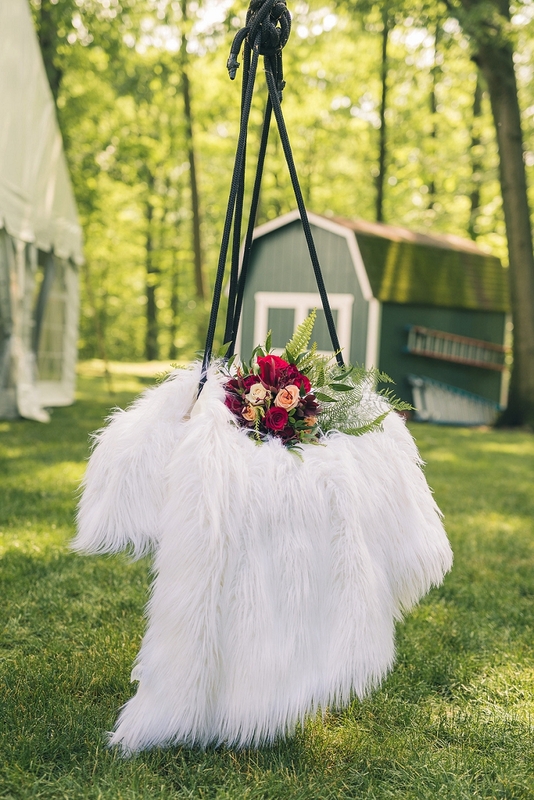 I picked up a few ideas and our florist, Keith who owns Off Broadway Floral and Design nailed it. We used Zeefoto. I met Vanessa at a photoshoot for a past client of mine from a previous job. We friends on Facebook, and they seemed like cool people, so we went with it. 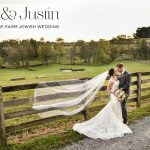 Their portfolio was mainly outdoor weddings, plus you got two photographers. Patrick and Vanessa were like my therapists that day. I was losing my cool because I thought it was going to rain and they kept me sane. If we were still in Cleveland I feel like we’d be best friends. 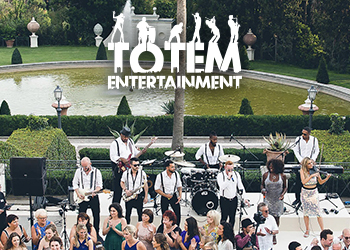 They also got the photos to us uber quick and were great with the cultural barriers during the wedding. We just didn’t care about the cake. We cared more about the meat and the alcohol. Chef Dave’s Catering did our wedding and they provided a cake. The big hit was we had cake push pops, which were the bomb! We had a Bukharian band, I believe they were from Kazakstan. They were so awesome. They had such a good vibe and if you’re familiar with Persian/Mizrachi/Sephardi music these guys nailed it. My husband’s parents choose them. It was very important to have their culture’s music. Oh gosh. Just fall in love and get married and make Jewish babies. 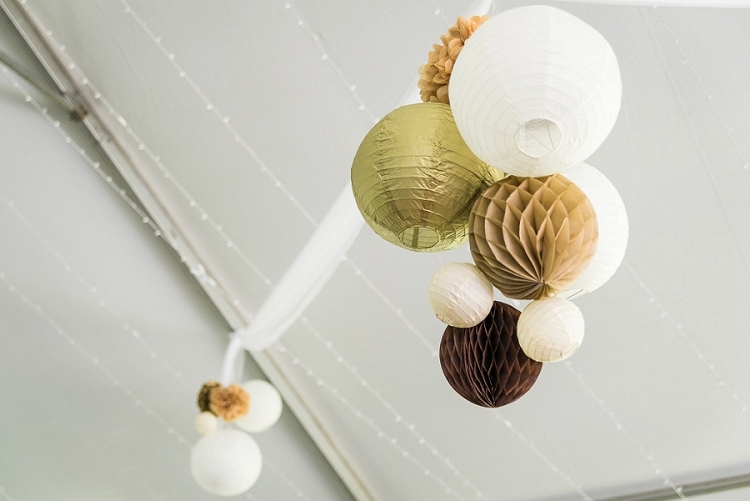 On a real note, though, your wedding comes and goes so fast there’s no point in stressing over small details. We live in a crazy world and one night is not going to define anything. Other advice? I think it’s important to give each side of the family the special things they want. 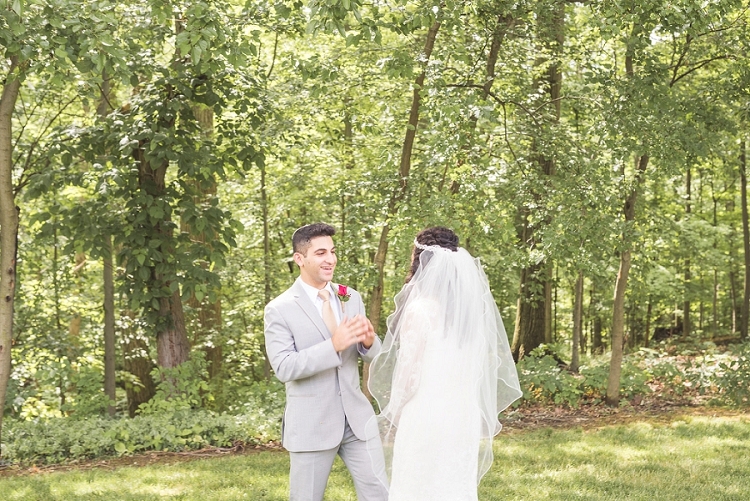 My wedding was two completely different cultures coming together and at times we had to put out fires but at the end of the day it was perfect. We had a great rabbi but I see a lot of my friends struggling who to go with, Reform, Conservative, Orthodox. It is all just labels. Pick someone who you want. Pick someone you can go to for advice on things and that understands who you and your partner are. 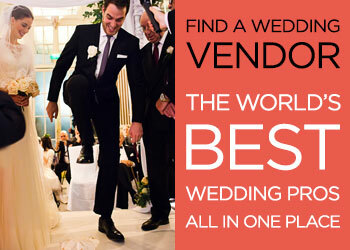 If you’re getting married in America you can choose whoever you want. 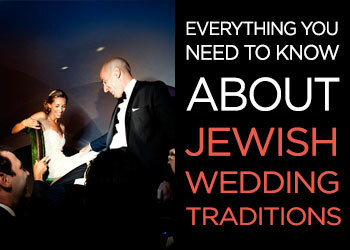 If you’re looking to get married and have it recognised in Israel then good luck. Coming from someone who had to undergo an Orthodox conversion, I know a lot now, some of which I didn’t want to know. I’m struggling with who I am as a person now and it’s not easy. I wanted to make sure my children wouldn’t have any problems in Israel if they ever chose to move there, but now I’m lost as a person because of everything. However, at the end of the day I get to go to sleep and wake up next to my best friend and we’ll choose how we want to be Jewish and that’s all that matters.